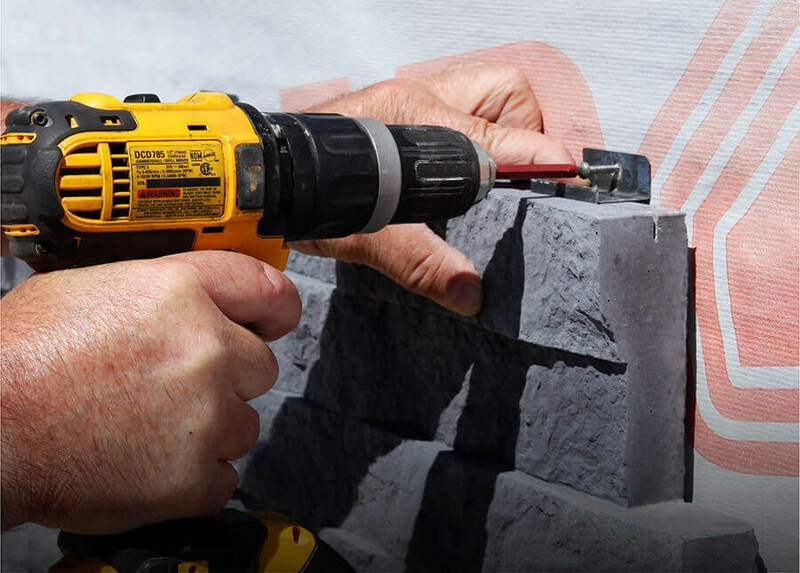 The patented Fusion Stone system makes it easy for even those with modest skills to install Fusion Stone stone veneers like a pro. 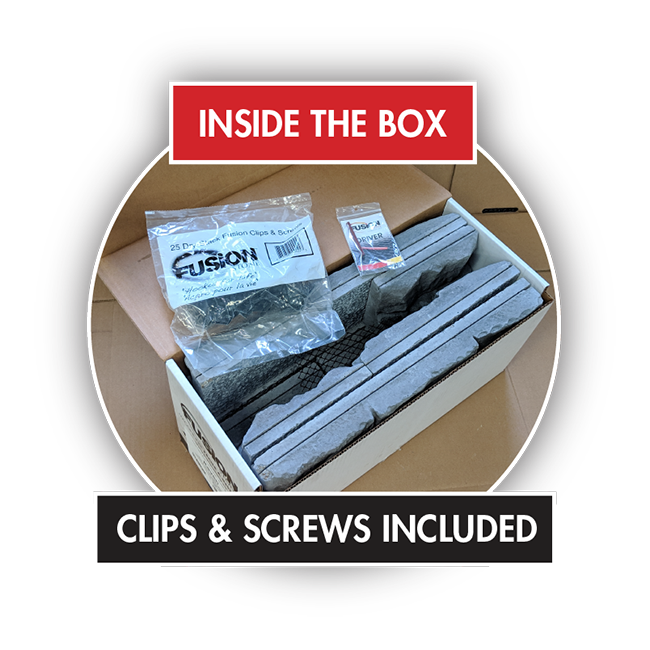 With just a few basic tools and the easy to follow instructions you are good to go. Compared to the cost of traditional stone, Fusion Stone is a real bargain. And, if you install it yourself, you’ll feel like a financial wizard. Stone has retained its popularity for centuries because it’s strong, looks great and lasts a long time. Install Fusion Stone on your home and discover how the improved curb appeal increases the value of your home. Great Lakes is our best-selling Fusion Stone stone veneer system for a reason. It fuses together ease of installation, no mortar convenience, a rugged, traditional visual effect, and a colour selection you will love. Nothing beats Great Lakes for elegance and utter good looks. 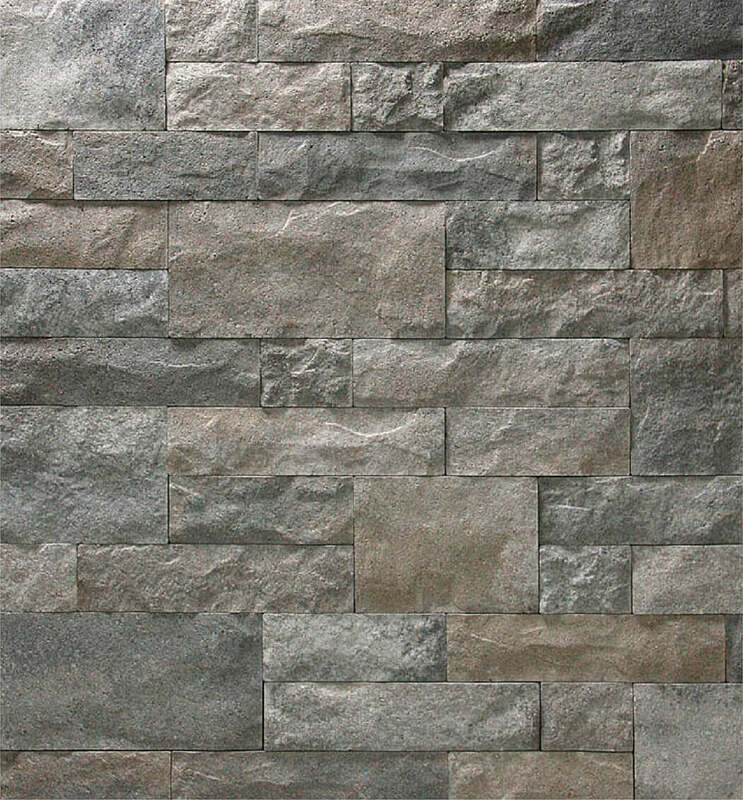 Dry-Stack stone veneer produces an amazingly uniform and highly finished appearance to be admired for a lifetime. The self-defining Caramel and Charcoal colour selections are difficult to choose between but both offer stunning nuances of discriminating good taste.